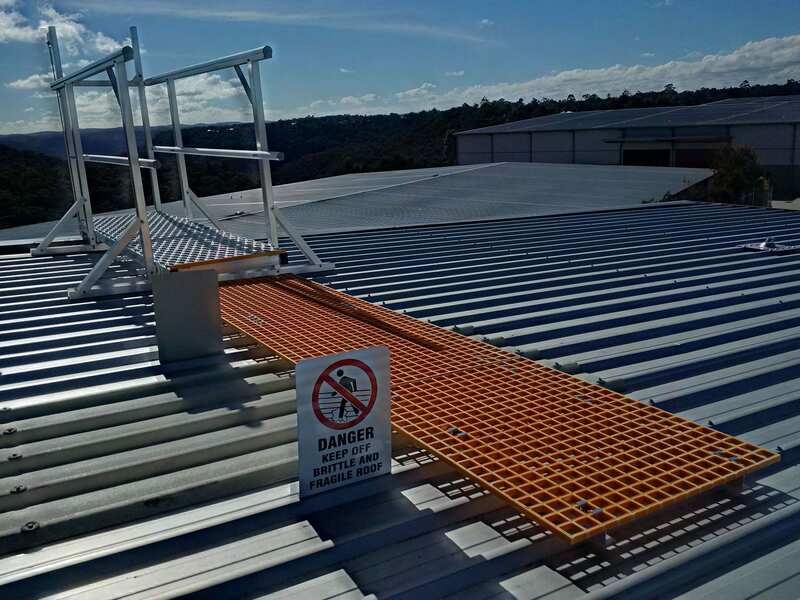 For the past three years, Anchor Safe has worked closely with the Australian branch of global property and facility management company CBRE – providing height safety solutions for their clients across Australia. 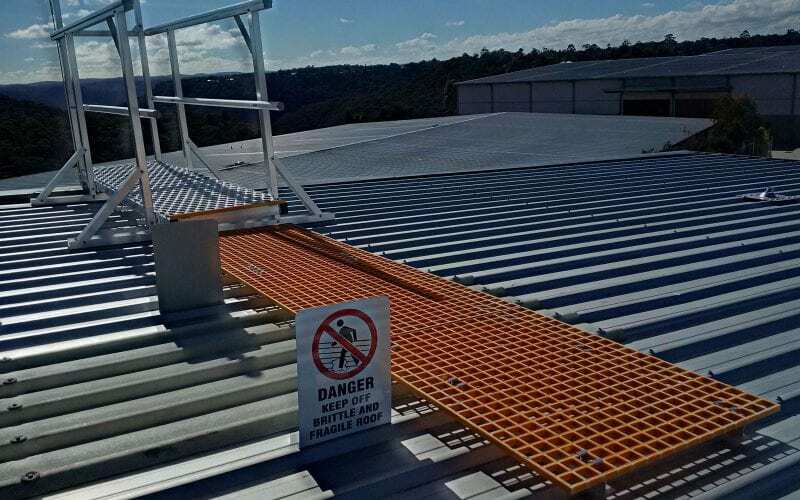 When three large commercial buildings in Gundah Road, Mount Kuring-Gai needed some height safety attention, CBRE turned to us. The three buildings are occupied by different tenants and range in height from 9 metres to 12 metres. With such varying characteristics it was clear CBRE needed a custom, not cookie-cutter, solution. Before we arrived on site, there was no current safe method of roof access to undertake repairs and maintenance of mechanical equipment. 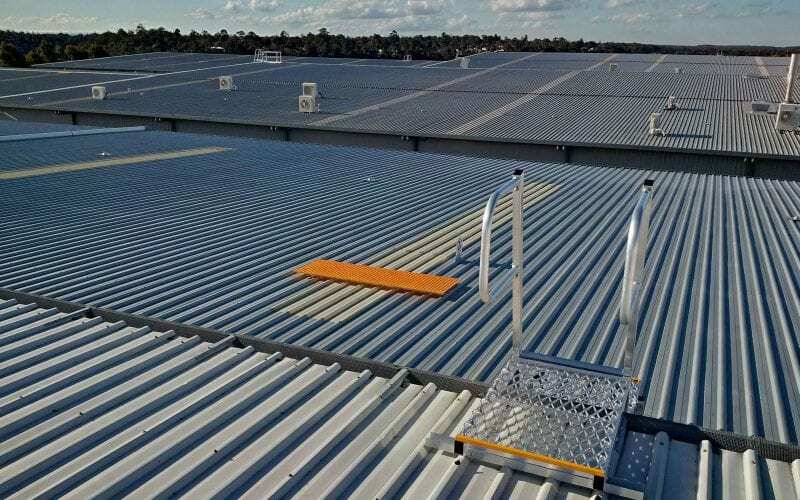 To remedy this, Anchor Safe was asked to design a cost effective and compliant design for roof access. Our success in creating a detailed proposal for this work led to Anchor Safe being named the supplier and installer too. 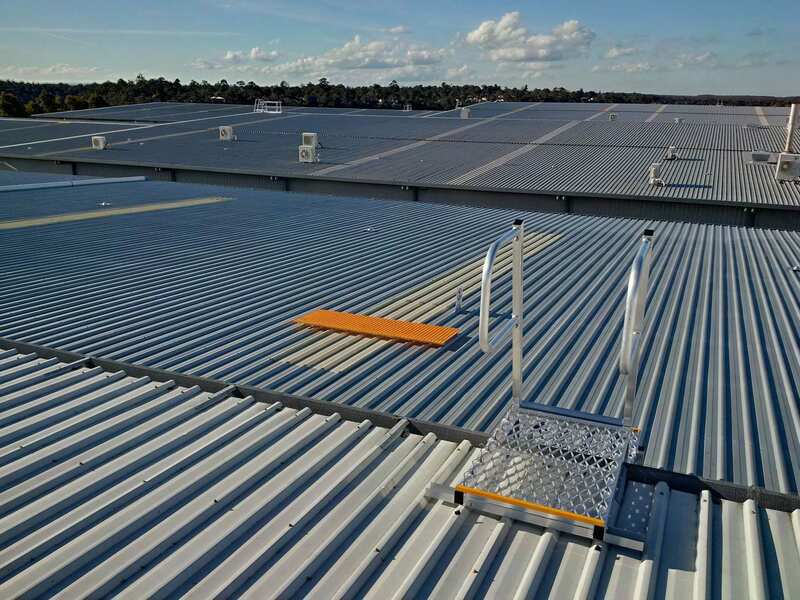 We designed and installed a roof access system that included four vertical static line ladders, which provided access from the ground to the roof level of the two storey buildings. 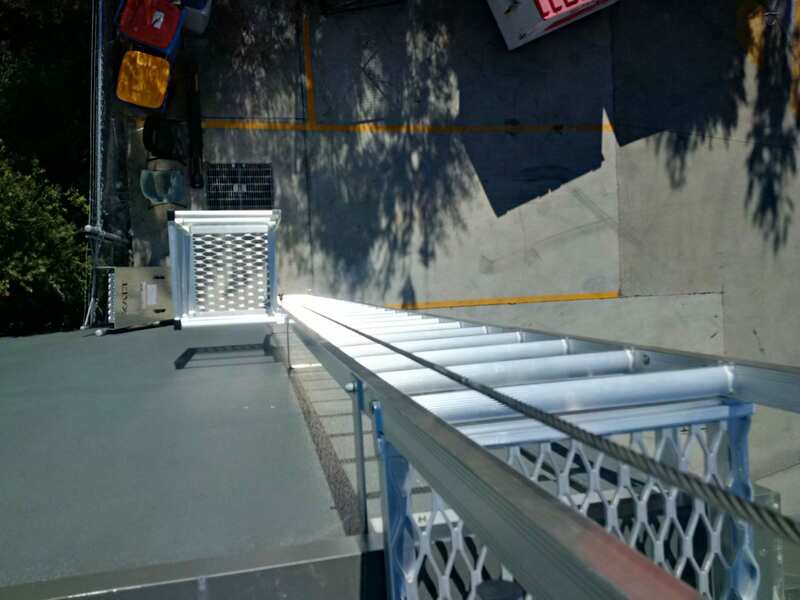 To ensure safe and efficient access between different roof levels, we installed seven smaller angled rung ladders and 170 fall arrest anchors to give safe access to the gutters for regular cleaning. Additionally, a series of skylight cross-over protectors were added, along with roof mounted safety signage. 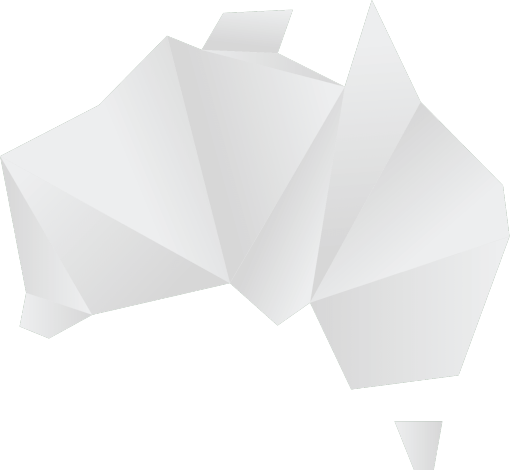 Anchor Safe provided a very professional and quality site plan and proposal for our recent project, and they executed the plan with no issues. 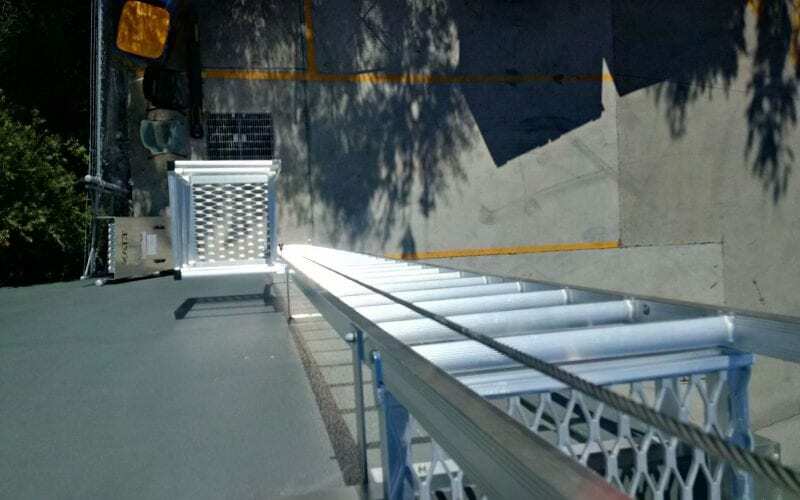 They followed up with our clients to ensure they were satisfied with the ladder, walkways, signage, and anchors throughout site, making adjustments to the ladders when asked. They even supplied locks – adding a nice finishing touch.